I put them on one of my display shelves in my craft room. Hello Everyone! I am so excited to share my latest little project. I bought these 3D cut files during Silhouette’s big sale last week. 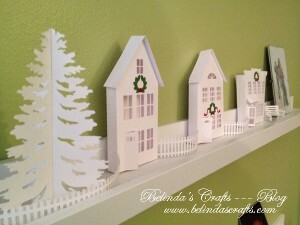 It is a little winter village and they are sized to fit on to small ledges, windowsills or shelves. When I saw them, I just fell for the simple white theme and I knew exactly where I would put them. 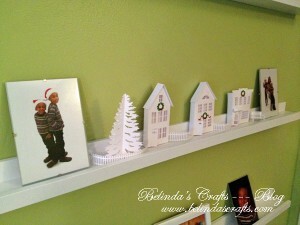 I placed them on my display shelf in my craft room where I usually display cards, pictures or my boy’s art work. 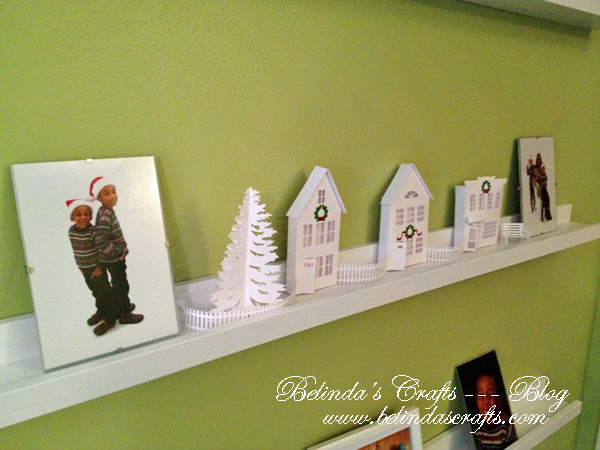 But I decided I want to fill the shelves with winter decorations. 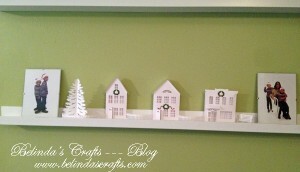 So I am looking for more cute projects to display on the shelves. I apologize now for all the pictures but I wanted to capture the different angles. They fit so nice on the shelf. The houses came with fences and trees. 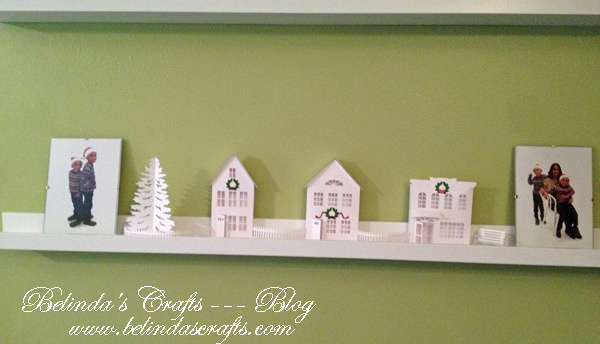 I debated whether to put another tree on the other end of the shelf. But as you can see below on the other end the cutest little bench that came with it as well. Look at the cute little park bench. These shelves are right at the top of the stairs and now I smile every time I pass this little village. This is the view from the front. 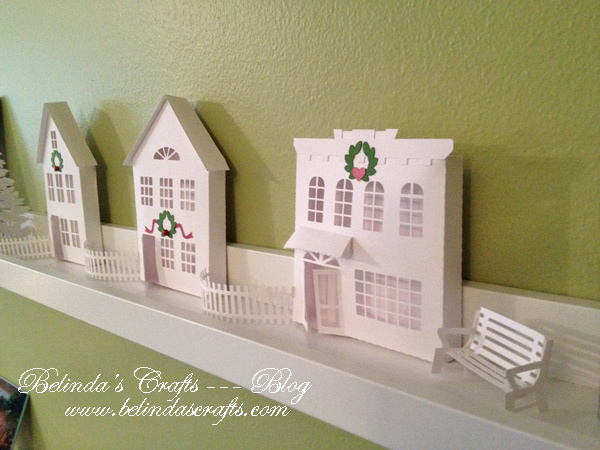 I kept the houses white and I added little wreath embellishments that I also found on sale at the Silhouette store. I will be sure to post pictures of some of the other projects I am working on once I complete them. Previous PostFun outing with family: Seeing the Patriot’s play at Gillette Stadium! Thanks April. I think you were not alone misreading my post. I try to lead the WOYWWers around to my daily posts via our Wednesday share. Unfortunately some don’t like to click to another link. Thanks for checking it out. I stare at these cute little houses everyday and plan on keeping them up throughout the winter provided the boys don’t mess with them! Nicely done!! Really are a pretty grouping.